Does Parsley Clean the Kidneys? Extract from the root of the white peony herb may be steeped in boiling water to create a tea. Proponents of white peony tea believe it to have medicinal properties as it contains compounds which may support kidney and liver health. Consult with your health care adviser prior to ingesting white peony tea. A study published in the August 2010 edition of "Die Pharmazie" reports that peony contains 18 active constituents responible for inhibiting blood coagulation or platelet aggregation. The active constituents include paeoniflorin, catechin, galloylpaeoniflorin and paeonol. The anti-coagulant effect of peony supports healthy blood circulation, which prevents against certain cardiovascular diseases. The effect of peony root extract on the kidneys of rats was reported in a study published in the March 2010 edition of "Phytomedicine." The study concluded that peony root extract had an antioxidant effect on the diabetes-induced oxidative stress of the kidneys as the subjects exhibited a significant decrease in urinary albumin. Urinary albumin is an indicator of poor kidney health. Furthermore, the subjects exhibited reduced symptoms of kidney tubule injury when provided a treatment of between 100 mg and 200 mg of peony root extract per kg of body weight. The September-October 2010 edition of "Vascular Pharmacology" published a study that researched the effects of paeonol on blood vessel dilation in rats. Paeonol is an active constituent derived from the root bark of the peony herb. According to the test results, paeonol relaxed the aorta by 95.6 percent by significantly elevating the production of nitric acid and regulating the flow of calcium. Nitric acid is a compound that relaxes blood vessels while calcium functions to promote muscle contraction. Blood vessel dilation may help to reduce blood pressure and control symptoms associated with high blood pressure, such as cholesterol. A study published in the June 2010 edition of "Archives of Pharmacal Research" researched the antioxidant effect of paeoniflorin, a component of peony, on the liver. The study concluded that peony extract protects against liver inflammation as it prevents against the oxidative stress caused by an antigen known as lipopolysaccharide. 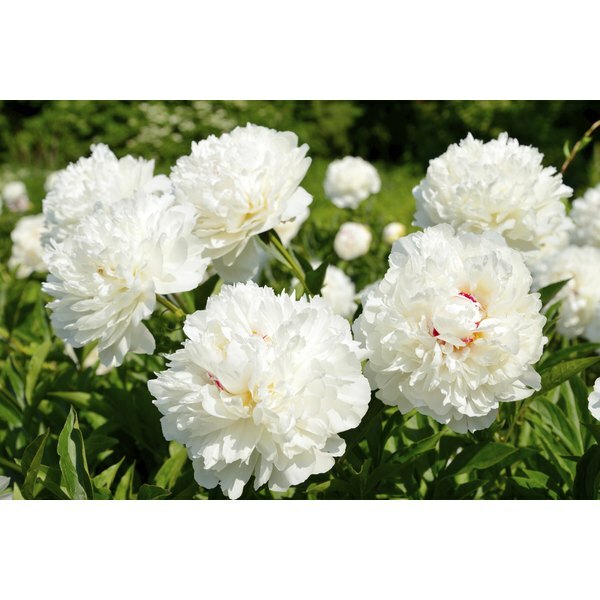 The University of Michigan Health System notes that peony may also be utilized to treat certain liver conditions, such as cirrhosis and hepatitis; however, further research is needed to validate the efficacy of white peony on liver disease.